We Forerunners have traversed enough Ascension Process Stair-steps that we now exist at a level higher than our old beloved Guides and ET buddies did decades earlier. Some of us have those jobs now for evolving humanity and it’s mainly about us stabilizing and holding that higher NEW entrance space much like a doorman opening and holding open the velvet rope or door to let you in. 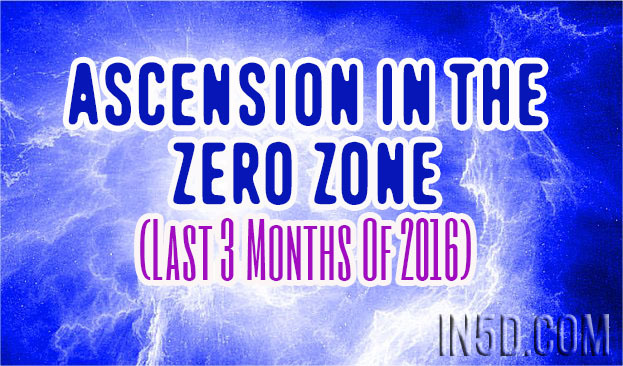 Many of us are needed to do this energetically for humanity as they cross the threshold of the 2016 Zero Zone portal and enter the NEW at the start of 2017. We don’t need to say anything or teach anything, run around or be cheerleaders or anything else; we’re needed to stabilize at this exit/entrance portal shift-point Stair-step and understand that this is more of a “test” for us than it will be for the humans that make this evolutionary leap. NEW, higher frequency jobs and abilities bring greater responsibilities Forerunners. I hope I’ve expressed some of these things adequately enough to get the point across about just how big and important where we are in the Ascension Process now actually is. I get anxious and excited at a human Denise level, then from my HighHeart where all is calm, knowing and perfect it’s simply the next spiritual evolutionary step. Lower Self meets Higher Self in the HighHeart where another Alchemical and even more Divine outcome takes place because of that very merging. I continue acclimatizing to all this NEW-to-Denise stuff. I AM the I AM that I AM to borrow Cosmic Awareness’ great phrase. And, sometimes I AM freakin’ dazed and amazed! Keep doing what you are, keep living what you are, keep being what you are and are increasingly becoming in your Divine physical incarnate Self. Radiate all that and help stabilize and ease this great transition we’re in already but that will increase in intensity and possible “strangeness” for a while. You know how weird and downright “crazy” it’s gotten here on Earth this year? It’s rather chaotic and intense in higher dimensions too because everyone everywhere is involved in this rare evolutionary Universal leap. Know all is really good despite those few not coping well with this current compressed evolution. I thank you for your ongoing Great Services.